Hi friends! 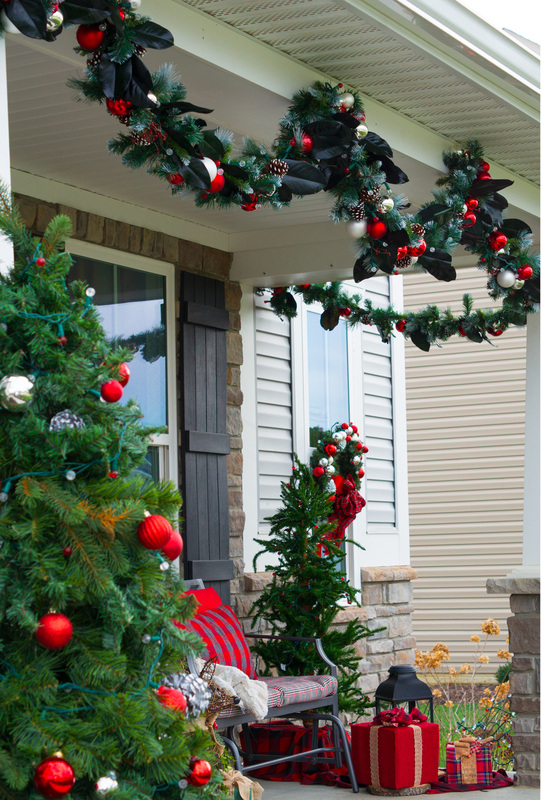 As promised, I am writing to show you how I made my new outdoor Christmas decorations this year. One of the projects I tackled t and my favorite was the pottery barn inspired magnolia garland. 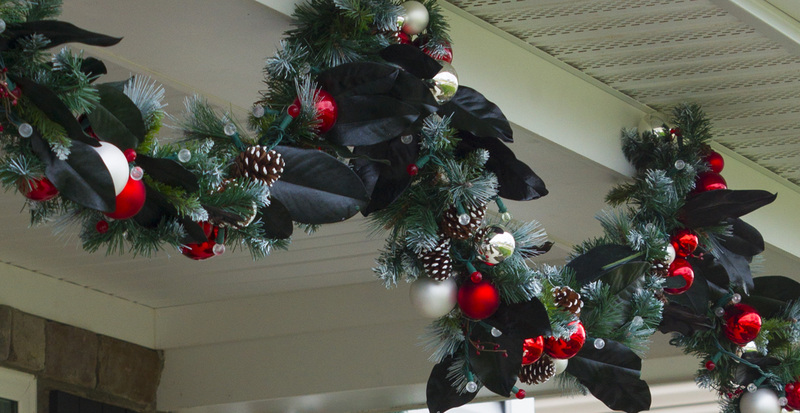 Pottery Barn offers a fabulous red and silver ornament garland that I fell in love with. I attempted to create something similar for my house but I added magnolia leaves just to change it up a bit. And because I just happen to love the look of magnolia leaves! This is the inspiration photo from an old Pottery Barn of the house draped with an ornament filled garland. Isn’t is fabulous! If you have been on Pinterest you’ve probably seen it. It’s been pinned like a gazillion times. It’s a beautiful photo. I liked the bright silver and red colors, a classic and gorgeous look. Every time I looked at this photo I wanted those garlands! And like I mentioned, I also really wanted a magnolia garland too. I wasn’t sure what direction to go in so I decided the best of both worlds was the way to go! I am so glad I threw it all in because I love the final look. After all, you know what they say, “more is more”. Oh wait nobody says that. But “they” should say that because who really wants less when you can have more? Ha. 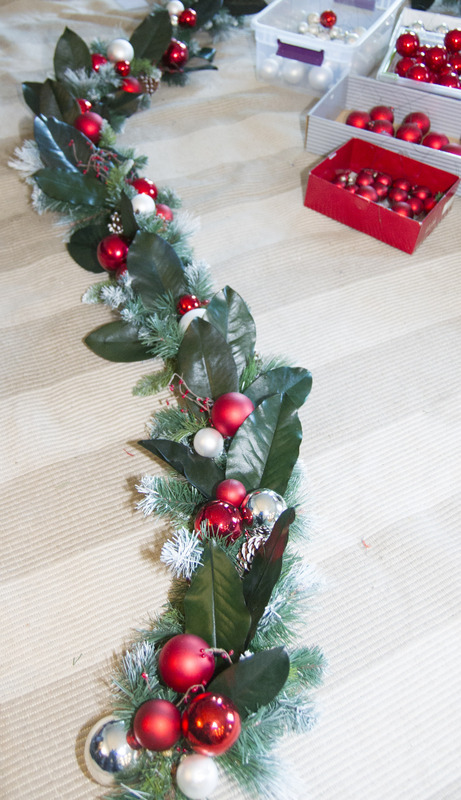 Anyway, putting together this garland is fairly straight forward. Here is what I used…. PLASIC IS BEST. The paint on glass ornaments does not hold up in the weather. I had to add some glass in simply because I couldn’t always find the right color or size I was looking for. I am seeing the paint come off already. I plan on replacing these next season. -I ordered a box of magnolia leaves off Amazon. It was 30 some dollars but I ordered a large box because I planned on getting a big supply for future projects. Sure enough there were enough leaves in the box to do garlands for my whole street. You’ve got to love Amazon. After this project was all said and done I still had a full box. -I purchased some great garland on sale at my local craft store. (4) 9 foot pieces for 7 dollars each. SCORE! I started by wiring my magnolia leaves. I used the floral tape and wrapped the pick and stem together. There is a wire pre-attached to the pick. You want to make sure that wire in not wrapped with the floral tape because you will use that wire to secure your magnolia leaves to your garland. If you want to skip the pick you could just attach a wire directly to the stem. Depending on the weather in your area, you may be able to just tuck your leaves in without any wiring. I live near Lake Erie and it gets very windy. I have to secure my ornaments and leaves with wire, otherwise pieces of my garland would be blowing into my neighbor’s yard. You could try to just hot glue your pieces, but again pieces could come loose. I personally feel that if I am going to take time to make it, I am going to do it the best I can so it lasts. Once the leaves were all pre-wired, I started on preparing my ornaments. I added a wire and reinforced the ornament tops with hot glue. You could skip the hot glue if you are feeling adventurous and your ornaments are shatter proof. My good friend and neighbor Abby from twistmepretty.com made one and she didn’t do the hot glue. But I glued away because I am the queen of over kill. Before you wire & glue your ornaments, lay your garland out on the floor and temporarily place your ornaments down on the garland. This will give you an idea of your design and how many ornaments to wire and reinforce with hot glue. 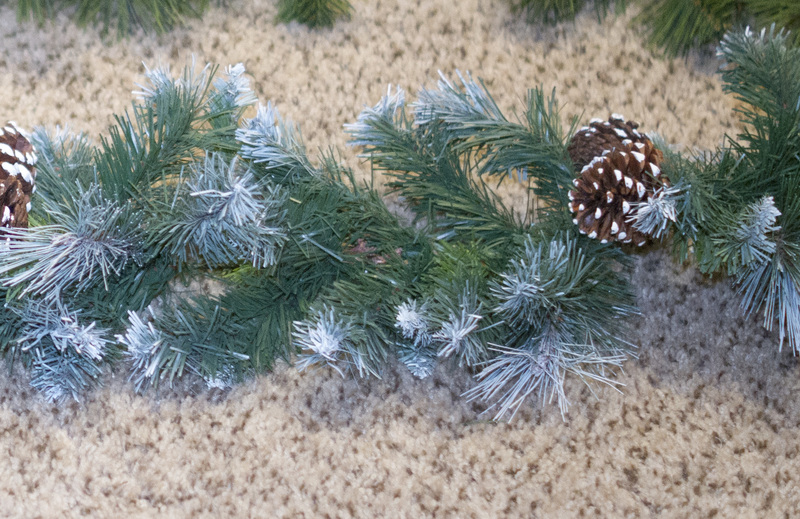 I laid my garland on the floor and began by simply placing the leaves down where I thought I would like. Then I grouped two leaves together and left a space and next grouped three leaves together. I alternated groups of two and three. Once I liked the pattern, I started at one end and went down the row securing each item with the pre-attached wire. I did the Same thing with the ornaments. I made little groups and made sure that the red was the dominating color and used the white and silver sparingly. It is pretty simple; it just takes a little time when you are doing 30 feet. So go get some hot chocolate and put on a Christmas movie. It makes the process more fun. We make our own red and white lights. We get 3 boxes of Philips warm white sphere lights and one box of red. Target carries them. Them we pull out the bulbs in the red string. We plug in the white string and pull every 4th white light and replace it with a red bulb. So the pattern is one red, three white, one red and so forth. YOU NEED TO KEEP THE STRING PLUGED IN AND DO IT ONE BULB AT A TIME. Sometimes the bubs don’t connect right and you don’t want to get it all done and then have to go back and find the short. This is my Hubby watching hockey and making me light strings of my desired color combination. I love that man! Because of all the stuff in this garland it was slightly heavy. The weight of all the goodies caused it to hang and look a little different than it did on the floor. If yours is going to swag open like mine, there is no way around it. I would save some magnolia leaves and after it is up add them back in where it looks like it could use them. That is what I did. It was fairly quick to make the adjustments after it was up and I saw the effect gravity had on it in some spots. There you have it – one very expensive looking garland for a fraction of what you would pay for it if you bought the same thing pre-made. Seriously, Abby and I looked and the prices were CRAZY! 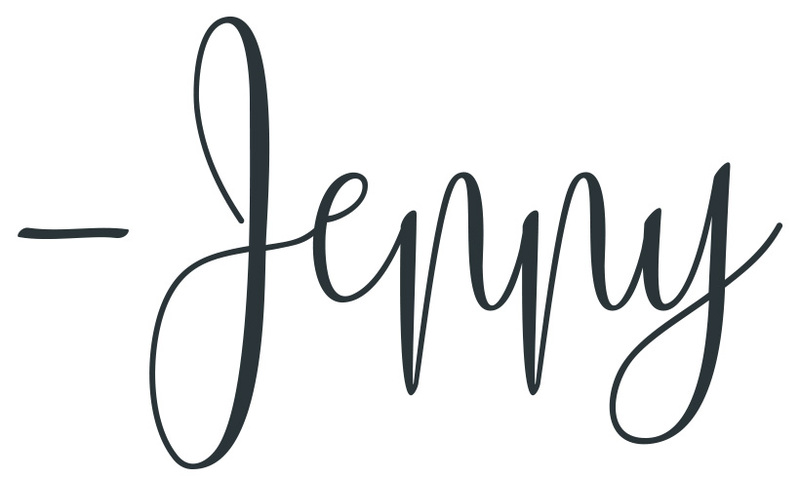 Leave me a comment, I would love to hear from you. Simply Beautiful! I love the garland and the nighttime view is spectacular. Happy Holidays! Gorgeous. Your home is stunning and the garland is beautiful.